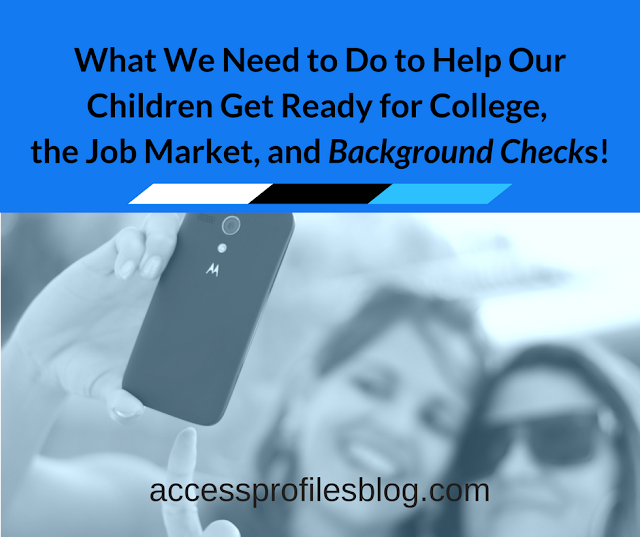 Do you know what happens during an employment background check? If your answer is “no”, you are not alone! 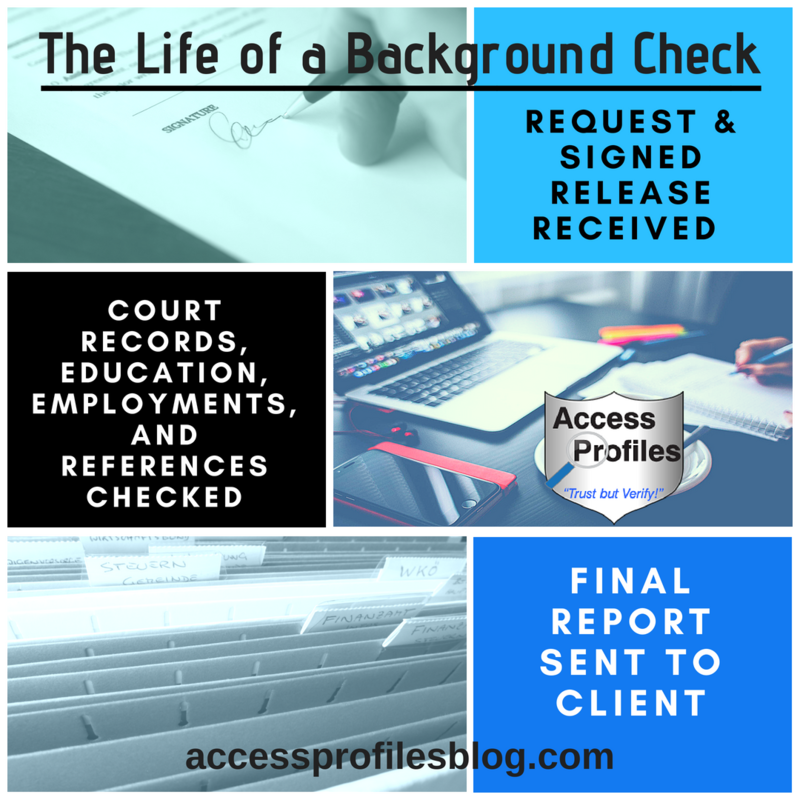 Whether you are an employer or looking for a job yourself, the whole idea of undergoing a background check can be daunting, and even a little scary. But it doesn't have to be that way! Instead, knowing and understanding what will happen each step of the way is your best bet. 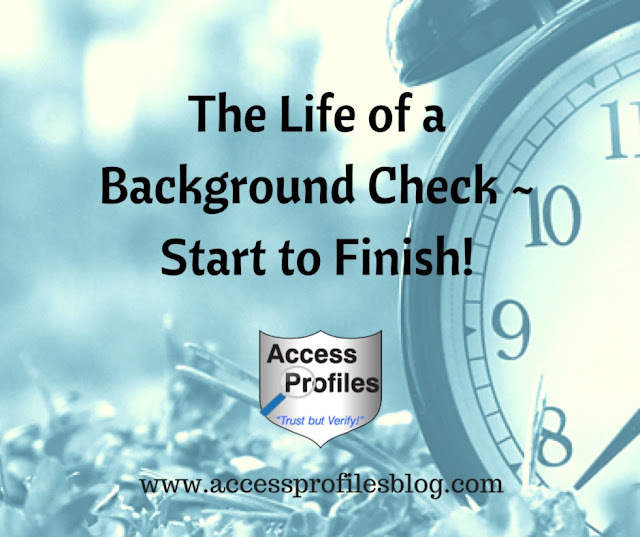 Discover the Life of a Background Check ~ Start to Finish! "Tweet This"! 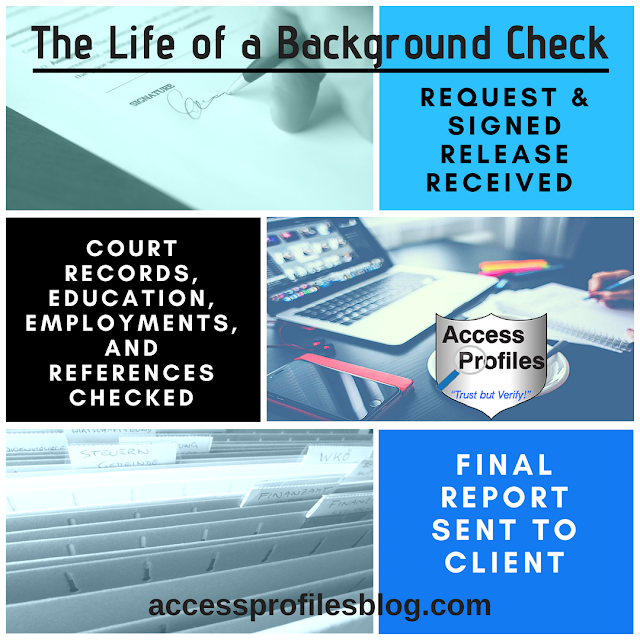 Here you will discover a Step by Step Guide to the Life of a Background Check. You will learn exactly what verifiers do when and why during each step of the process. All employers need to obtain a signed release from each applicant before a background check can be done. This needs to be a "stand alone" document that ensures they understand a background check is being done and gives the background check company access to information where a signed release is required (this potentially applies to education and employment verifications, and some criminal records among others). Learn more about "stand alone" releases here! Employers will also need to obtain an applicant's identifying information (name, any previous names used, date of birth, social security number). Additional information that may be requested is an applicant's addresses for the past 7 years, institution and date of highest diploma/degree earned, and driver’s license information. If verification of past employments or references is requested, a copy of the applicant’s resume will also be forwarded to verifiers. Upon receipt of this information, the employer will inform their background check provider what they want verified. Depending on the job description, it can be as little as verifying local criminal court information or as detailed as a full background check. A good screening company would recommend the employer "fit the background check to the job" to determine the scope of the investigation. Find out more about why Here! This flexibility focuses the background check only on what the employer really needs and is a great way to accommodate the budget and needs of businesses of all sizes. Verifying the information You requested. Since all background checks involve some type of criminal record investigation, most verifiers start here. Best practices are to use actual court records during all criminal record checks. This may involve a combination of logging into a courts online database and actual physical inspection of court records. This is not an “instant” process as many may believe. Most records can be obtained within 24 to 48 hours, however, that is not always the case. But, even more importantly, these checks should not be done by exclusively checking online, independent databases. (You can read my thoughts on using online databases as the sole source of court records here). Verifying through the actual courts is the absolute best way to get the accurate and up-to-date information you need. Criminal searches routinely focus on felonies first, then lower graded offenses if necessary. Convictions, not arrests, are of the utmost importance, especially if the record involves crimes that would create an unsafe work environment for the employer. The importance of being accurate requires diligence in investigating these records. The goal is to make sure that any record found matches the identifying information of the subject. The ideal situation is to match more than one of these identifiers. This helps ensure the record actually belongs to the applicant. The verification of civil court records is very similar. However, these records rarely contain more than the name and address of each party. This is why it is important to have the past addresses of the subject when searching these records. If requested, the next step would be to concentrate on verifying education, employments, and references. Education verifications can involve anything from high school diplomas, college degrees, and even certificates or professional licenses. Many times this is where having a signed release is crucial. Verifiers are often required to send in a copy of a signed release before they are able to obtain any information. Verifiers are looking for corroboration that the information listed by the applicant matches what is supplied by the source. It is always best to go directly to the institution where the degree, diploma, or license was issued. However, many are now using a “clearinghouse” instead of their own registrar office to process verifications. When conducting an employment verification, the goal is to match dates and title of employment with those listed on the subject’s resume. Most times this is the only information that a company will verify (although it is sometimes possible to get salary information), even with a signed release. Other information that may also be checked is “reason for leaving”, whether the applicant is “eligible for rehire”, and possibly work performance and reliability. By asking about “reason for leaving” and rehire, verifiers are often able to get a better glimpse into the nature of the employment. It is at this stage that delays can often occur. Many times a company may have to be contacted multiple times before a verifier is able to speak with someone who can answer questions. In addition, some companies no longer handle verifications in-house and they contract this duty out to another company (much like with education verifications). While this can speed up the process, there are times when records must be searched by hand, which may cause a delay. There are also often additional fees involved in this type of search. For references, best policy is to contact those listed by the applicant and develop one or two additional. This is an important step. References listed by the applicant are likely to only give a positive report (although you may be surprised!). This can also take some time. If the employer has requested a driving record, this request also needs to be submitted. Often proof of a signed release is required. Best records are obtained by contacting the department of motor vehicles (or a state’s equivalent) for this information. Unless the applicant is being given a company car, or they are required to drive a company truck, many clients skip this step. However, if this is requested, it is important that a verifier checks whether the subject’s license is valid, that they have any necessary commercial licenses, and that they don’t have excessive driving violations. After completing all requested reports, the verifier's work is done. Employers now have all the information needed to help them make an informed hiring decision. As discussed in previous articles, “how” an employer can safely use this information in the employment process is another matter. (Read more here). 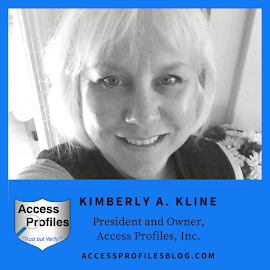 The most vital key to each and every step taken during a Background Check is Accuracy. This is by far a background check verifier's most important goal and is also crucial to both employers and job applicants! While getting a background check done quickly is nice, speed should never be the first consideration. Taking the time to verify information from the best possible sources is best for everyone. making a great, new hire! Please Pay it Forward and Share this article on your favorite social sites! Thanks! Find out More About Us and see What Our Clients are Saying about our services too! I have a friend that applied to work at Wal Mart 1 month ago; waiting on pending background check. The only thing they will tell me is that they are waiting on the courts..... 2 weeks ago, he bought a gun. The criminal background check cleared him and he purchased the gun. Friday April 22, 2016 will be 5 weeks. I don't understand. Employment background checks do not have the luxury of the heightened expediency other types of background checks enjoy. If done right, and actual court records are being checked, delays can happen. While I agree that 5 weeks seems excessive, it may be that some of the courts being checked (or past employers being verified), are not responding in a timely manner. And there are some courts whose records still need to be pulled and checked by hand, making delays likely. Good luck to your friend in their job search! Have you ever heard of a background check taking that long? I have if the background check done is an in-depth one ~ criminal (on multiple levels), employment, education, dmv, etc. If the subject (your friend) has also lived in multiple locations, counties, states, or even countries, that can add to the time it takes. It also depends upon the level of job for which your friend applied. The higher the position, usually the more in-depth the check. If I was your friend, I would keep in regular contact with HR to see how the process is moving. I have applied for wal-mart and it is taken forever to get my back ground check back. I have called and i gave them all the info that was needed and now i called back and they said it is being processing and they will get it finished soon as possible. they have it since the 15th of june really it is taken this long to get it back. the walmart store that i applied for is getting ready to discontinune my appt. for the job. I need to know what i can do to speed it up a bit. Rebecca, I can certainly understand how frustrating this must be. But there is very little you can do to make it go any faster. The best thing you can do is keep contacting them and ask each time is there anything additional they need that could help speed up the process. Taking 2 weeks, especially during the summer months, is not necessarily unusual. It really depends upon the scope of the screening. If they are checking past employers, there can definitely be delays due to summer vacations, holidays, etc. And if their background check is fingerprint based, or if they need to go and check some court records in person, it can take longer. I really wish you luck. I would love to hear from you about how it goes! I hope you are on the home stretch now Rebecca and are officially hired soon! Good luck! My 10th Anniversary as a “Solopreneur”! My 100th Blog Article ~ Time to Celebrate!